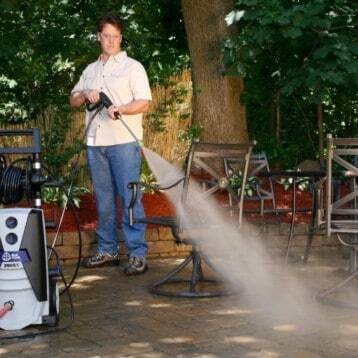 A pressure washer is a handy tool that can be used to create higher levels of cleanliness around your property. 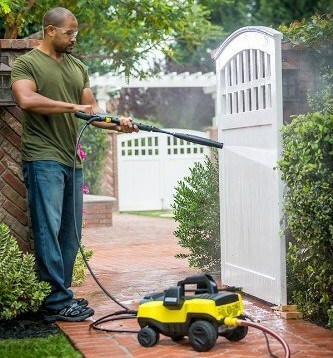 It can even remove graffiti or unwanted dirt and debris from your fencing or the side of your home. It can only do that when the equipment is working properly, however, so knowing pressure washing repair and how to troubleshoot your equipment is an essential part of the ownership process. What If There Is Low Pressure? 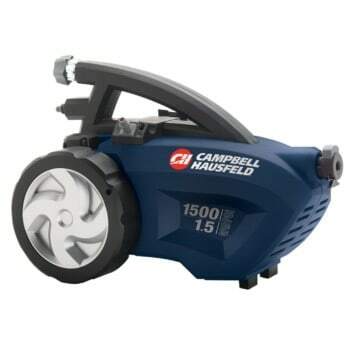 The most common cause of low pressure for a pressure washer is an incorrect nozzle or a nozzle that has worn out. Make sure there is water coming to the equipment properly as well – a hose that is going up a hill will delay water pressure from arriving. Replace any worn out or broken nozzles when they are discovered. If your nozzle and wand look to be in good shape, there is the possibility that the RPM on your engine is not set properly. Engage the motor into the “Run” position and take the choke off to solve this problem. You may also have a plunger that has become worn out or broken or the belt on your pressure washer may be slipping. These repairs can all be made at home with the proper spare parts, but you may need to order them directly because they are often model specific. Do you have a hot water and cold-water outdoor faucet? The #1 reason why a pressure washer begins to run rougher than usual is that the inlet water is too hot. Make sure to use cold water to get the best results. Even if you don’t have a hot water faucet, water that has been trapped in a hose with sunshine coming down on it can warm up enough to cause this problem. If everything looks fine and you aren’t using hot water, then there’s a good chance that you’ve got mechanical damage within your crankcase. That’s not a problem you can generally repair at home. One of the most common issues in pressure washer repair is a worn out seal. There are numerous seals that are distributed throughout the design of the pressure washer and any one of them may fail spontaneously to create a leak. It isn’t just water that can leak either. Oil leaks are also very common. Make sure that you check your seals at least twice per year and quickly replace ones that appear to be worn out. The seals of the pressure washer are also bound by the laws of physics. They expand and contract based on how hot or cold the weather happens to be. High humidity weather can actually cause a pressure washer to begin leaking, especially when it comes to keeping the oil and water separate from each other. This issue is almost always caused because of a dirty inlet or discharge valve. Make sure that you clean these out thoroughly after 5 or 6 uses, especially if you are pressure washing wooden materials. Even hardwood will splinter at times when high-pressure water streams are encountered. These small splinters then clog up the system. You may also have a stuck plunger for a wide variety of reasons. If your inlet and discharge valves are clean, then the plunger is the likely the cause of the pulsating, especially if you have low pressure while this is happening. The modern pressure washer is designed to make sure that you don’t damage the engine or any of the mechanical components if you manage to forget some basic maintenance. There are two primary reasons why a pressure washer will shut off: it has run out of fuel or it has run out of oil. Some pressure washers will also shut off if their thermostat reaches a certain threshold. You will see this happen more often when you use the equipment in a confined area where there isn’t enough air to cool the engine down. This may also happen on hot and humid days. You will need to allow the pressure washer to cool down for at least 30 minutes before restarting the engine. If you know that you’ve got fuel in your pressure washer and that you’ve got oil in it too, then the next thing to check is the primer pump. You will need to pump the fuel primer for the engine 6-7 times on the first start-up of the season and 2-3 times for every other start-up. If you don’t get a good start from the first 3 or 4 pulls, then you’ll flood the engine and need to let it sit for a few minutes. Run the choke on full, pull a couple of times, and then gradually pull the choke off as you get the engine going. You may also need to check your electrical panel and replace older fuses that may not be capable of supporting your new equipment. Is Your Pressure Washer Under Warranty? If you have eliminated the common causes that can plague a pressure washer, you may be tempted to open up the equipment to begin an inspection. If you do this, however, you may wind up violating your user warranty and having it declared void for all future issues. If your pressure washer is currently under warranty and you know that you’ve been filling it with the right fuel and oil consistently and everything looks clean, then a better option may be to initiate a warranty repair call. The terms and conditions of a warranty covered pressure washer repair often vary from manufacturer to manufacturer. Some will require you to take the pressure washer to a licensed service dealer. Others will send technicians to your home to repair the malfunctioning pressure washer. There is generally a condition that you must agree to which says that if the technician finds that the pressure washer stopped working because of user neglect, you’ll have to pay for the repair and the labor instead of the warranty. Is DIY Pressure Washer Repair Always Possible? No. Although there are a number of options that are available to you that can help you get a broken pressure washer up and running once again, this isn’t always possible. While you might think it’s as easy as opening up your back issues of Popular Mechanics, some manufacturers have taken steps to prevent end users from repairing or modifying their units, using things like secure screws. Sometimes a professional repair may cost more than the retail price of a new pressure washer as well. That’s why it is always important to weigh all of your options thoroughly before proceeding. It makes no sense to pay for a repair if your pressure washer has become totalled for some reason. By going through our reviews of spare parts and kits that are available, as well as new pressure washer reviews for the best electric pressure washers and best gas pressure washers that you will find on the market today, you’ll be able to make the right choice to get back up and running once again. Eventually all of your parts are going to wear out if you’re using your pressure washer consistently. You could spend a small fortune by ordering the small parts you need from the manufacturer directly, so having access to repair kits like this on Amazon is pretty awesome. This particular kit works best with electric pressure washers and it includes the most popular replacement parts that are needed. It’s a universal kit, so it should work with most brands. 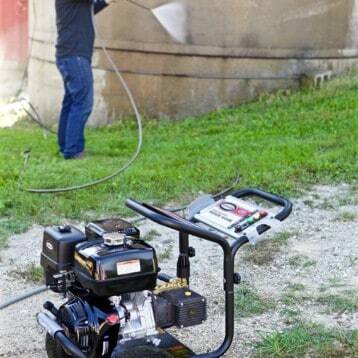 That way you’ll always be able to keep your best pressure washer operating at top form. If your pressure washer won’t send water through any more, then your pump might be to blame. If you’re not so handy with the tools, this particular pump mounts on any 7/8 inch shaft and is remarkably easy to install. It offers a maximum 2700 PSI at 2.4 gallons of water per minute and you won’t have to do any oiling or sealing when you get it. Match up the bolt pattern to make sure it will work and you’ll potentially save hundreds on this repair cost. Although replacing a fuel tank is not typically recommended as a DIY pressure washer repair, this replacement part makes it possible. It’s a new OEM part that will replace the gas tank on specific pressure washers from this manufacturer. It fits perfectly and is pretty easy to install, but make sure that you drain the fuel out of the system first so you don’t get blasted with an unpleasant surprise. 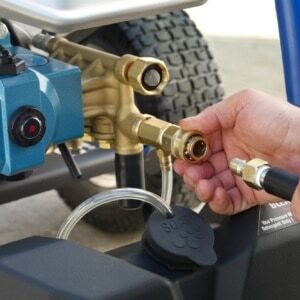 If you don’t have a quick disconnect system for your pressure washer, then you are going to be wasting a lot of time getting your unit ready for storage after you’ve completed a job. This universal kit works with most makes and models and will handle a 4000 PSI rating. You’ll also receive 5 quick connect nozzles that work with this gun kit, including a 65 degree spray pattern for washing and rinsing. 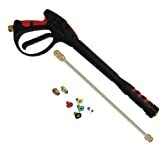 A safety trigger and two hose adapters are also included to make sure you’ll always have a safe using experience. If you’re tired of using a standard hose, managed to melt your hose on your muffler, or just need something that’s better than what you’ve got now, then this Schieffer Co universal model will give you a wider diameter and longer length than comes standard on most models. 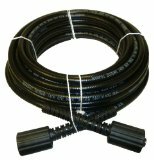 Made right here in the USA and designed to suit most models from popular brands including Briggs and Stratton, Craftsman, Generac, Briggs & Stratton, Ryobi and Karcher, this hose features 1/4″ connectors and is 50 feet long. If you have a standard connection on a pressure washer that is 3000 PSI or below, then this hose will work for you. With a little proactive maintenance and some tender loving care, a vast majority of pressure washers from all of today’s top manufacturers will give you a long lasting tool that you can use to effectively clean all of your property. Choose the pressure washer that best meets your needs today, find the right spare parts or upgrades with comprehensive reviews like these, and then follow these tips to repair a problem that comes your way so that you’ll have a successful ownership experience.